SmartLipo® is a minimally invasive alternative to surgical liposuction. If you're struggling with fatty deposits in your chin, your abdomen, your thighs, your hips, or your back, SmartLipo could be the best solution. 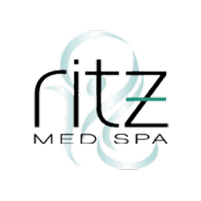 The medical aesthetics team at Ritz Med Spa in Franklin, Tennessee, can discuss the best fat removal options for your particular needs with you today. Call to schedule your appointment with Ritz Med Spa. SmartLipo is a type of laser fat reduction that's designed to offer an alternative to surgical liposuction. Ritz Med Spa chose to offer SmartLipo because it's such an advanced and effective way to target fat without surgery. How Does SmartLipo Treatment Work? Your Ritz Med Spa physician will create a tiny incision in the treatment area. A very thin tube is then inserted into the incision. Concentrated laser light is then directed down the tube so that it directly accesses the fat cells. This causes the fat cells to melt away. The newly liquefied fat can then be suctioned out using the same tube. Since there's only a tiny incision, no stitches are needed. Where Can SmartLipo Be Done? SmartLipo can be done in most areas, but it's especially well suited for fairly small fat deposits. If a very large amount of fat needs to be reduced, surgical liposuction may be recommended instead. A good SmartLipo candidate is in good overall health but struggles with fat in certain areas. If you're left with stubborn fat deposits even after you've achieved your goal weight and exercised regularly, this may be the ideal type of fat reduction treatment for you. How Long Does it Take to See the Results of SmartLipo? The majority of patients see results in only about a week. Results will improve even more over the coming months, with the optimal outcome being seen at three months after the treatment. Since the fat cells are melted and then flushed from the body, the results are permanent. However, it's important to maintain your body weight with careful eating and regular exercise if you want to maintain your appearance overall. Are Follow Up Treatments Needed? Most patients get results after just one SmartLipo treatment. If you want to target even more fat in the future, follow up treatment sessions can be arranged.